The Life Extension Blog: Is a “Leaky Gut” Making you Sick? Is a “Leaky Gut” Making you Sick? Leaky gut syndrome may just seem like a buzz term in the supplement industry and it may even sound a little gross, but is it something you need to know about? Probably. Why? Because science is revealing that it’s a real problem. More than a site for nutrient breakdown, your digestive tract contains a vast network of nerves and a significant part of your immune system cells. So, it’s important that you take good care of it and don’t take it for granted. So how can a leaky gut compromise your health and what you can you do to prevent it from happening to you? Here’s the bottom line. What is a Leaky Gut Anyway? Your gut lining is just one cell thick. It’s where nutrients get absorbed, and it also keeps toxins, undigested food, and bacteria from entering your bloodstream. The intactness of this lining is very important. When it’s more permeable than usual, it doesn’t do a great job of keeping toxins out of your blood. So how do you pinpoint a leaky gut? It involves drinking a solution made of lactulose and mannitol1 (both sugars) and collecting a urine sample. Under normal circumstances, the gut absorbs mannitol but not lactulose. But when it’s “leaky,” lactulose is absorbed through the gut and ends up in the urine. What Diseases are Associated with Leaky Gut? First, a leaky gut sets the stage for inflammation, which is basically the common denominator of all age-related diseases. Next, it may also cause your immune system to react in unusual ways, which can also set the stage for disease. So what does this information imply? That your gut needs to be in tip-top shape for optimal health. To get there, you must adopt a gut-friendly diet. • Eat plenty of fiber and antioxidant rich foods. Antioxidants protect the gut lining, and fiber cleanses the digestive tract. • Regularly consume foods like yogurt, kefir, natto, sauerkraut, and fermented vegetables. They contain natural sources of probiotics. • Avoid constipation! A stagnant colon is a breeding ground for unfriendly gut bacteria, which could compromise the gut lining. A stagnant colon also holds in more toxins. • Decrease your alcohol intake or avoid it altogether, as it can damage the intestinal lining. • Test for food allergies and modify your diet accordingly. • Eat prebiotic-rich foods like asparagus, onions, garlic, and artichokes. Prebiotics nourish friendly gut bacteria. The importance of digestive health is heavily underestimated, but it can make a major impact on your overall state of health. As such, please take good care of yours. 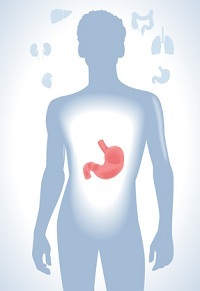 Have you noticed any major health improvements after taking measures to strengthen your own digestive system? If so, please share your experience in the comments! 1. Curr Gastroenterol Rep. 1999 Oct;1(5):410-6. 2. Neuro Endocrinol Lett. 2008 Dec;29(6):902-10. 3. Bowel Dis. 2001 May;7(2):94-8. 5. J Pediatr Gastroenterol Nutr. 2010 Oct;51(4):418-24. 6. Neuro Endocrinol Lett. 2008 Feb;29(1):117-24. 7. Clin Exp Allergy. 2011 Jan;41(1):20-8. 8. Clin Rev Allergy Immunol. 2012 Feb;42(1):71-8. 9. Brain Behav Immun. 2012 Aug;26(6):911-8. 11. J Pediatr. 2004 Nov;145(5):612-6. And avoid wheat as much as possible. Gliadin is well known to affect gut permeability by stimulating zonulin. This is obviously worse in celiac or Crohn's sufferers. Many may be able to tolerate small doses of wheat without issue, but why take the chance? I can get all the nutrition in wheat easily through other sources and avoid any potential sensitivity. Thank you for posting this leaky gut information. I had something completely different in mind when I heard the term. I have fibro, also allergy or sensitivity to white flour and when reading about possible causes the leaky gut explanation came up often. I had no idea what to do about it. Dolly S - It's our pleasure to help! I've been suffering with leaky gut for over 18 months and I finally found something to help...BONE BROTH! I boil the bones of organic chicken from 6 to 14 hours (the longer the better) and it does wonders for our gut. I read all about it on a site called Heal Thyself. Brian Hassel - Gliadin can definitely contribute to a "leaky gut". Thanks for your input! Anonymous - Glad you're doing better! Thanks for sharing this useful information with references. I have found that changes to dietary habits and leading a relaxed lifestyle free from stress helped immensely. Certain healing foods and supplements like ginger, turmeric, flax seeds and fermented foods help a lot. Senna Stone - Our pleasure! Glad it was helpful. And thanks for sharing your suggestions. Thoroughly enjoyed your explanatin of LGS. Having suffered from the condition for years, and avidly studied it across the Web, I found your succint note of interest and value. Will be adding it to my list of online resources to share with others. Good post. Learned something new today. Appreciate you for taking the time. Minnie - Glad you found in helpful! Thanks for stopping by. For decades I have suffered and only now I am gettting the answers to my questions. Thanks for sharing this info. Now I have a better understanding of my condition. shane - Glad it helped. Thanks for reading! I have Lichen Planus and I just learned there is a connection between it and leaky gut. I've had several surgeries because of stomach problems and nothing seems to help (including a Nisan fondification). Some doctors don't want to hear about conditions they don't already know. We need God’s help!